by leveraging our decade-long domain and functional knowledge and business expertise. Services are delivered with precision and tailored to every unique requirement of our clients. Our recruitment leaders leverage years of experience and knowledge to train corporate Talent Acquisition teams on the art and science of recruitment. We have a team of industry experts and consultants who have served in the Aerospace and Defense sectors and have contacts and insights that greatly help our clients’ goals. We, thus, consider ourselves as the most referred talent search service provider in this highly specialized sector of India. Driven by passion, we continue to deliver the best of our services to our clients even in most challenging times. Amol Gangaramany heads the Aerospace & Defense, Automobile & Auto Components practices for ABC Consultants. 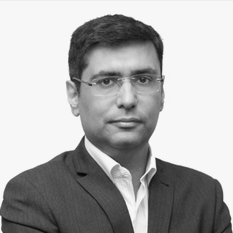 Amol has over 13 years of experience and has been with the firm for close to 12 years. He started his career in the Automotive Practice in ABC where he was responsible for Senior Management Hiring in Automotive OEMs and Component Manufacturers. Before joining ABC, Amol has worked with Kelly Services and People One Consulting. Amol Gangaramany heads the Aerospace & Defense, Automobile & Auto Components practices for ABC Consultants. 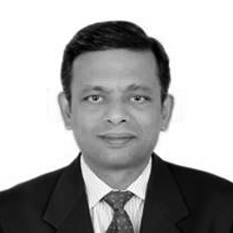 Amol has over 13 years of experience and has been with the firm for close to 12 years. He started his career in the Automotive Practice in ABC where he was responsible for Senior Management Hiring in Automotive OEMs and Component Manufacturers. Before joining ABC, Amol has worked with Kelly Services and People One Consulting. Amol is an Industrial Engineer from Nagpur University and has done his Masters in Business Administration from Goa Institute of Management. He can be reached at +91-11-42393900. G N Udiaver (GNU) is an Engineering graduate in Electrical from Mangalore University and possesses 28 years of experience in the manufacturing, consulting and executive search and selection industry. GNU joined ABC Consultants in October 1993 in the Management Consulting Division. Currently as Director, he works on senior level mandates for a cluster of practices. He brings over 15 years of experience in executive search. G N Udiaver (GNU) is an Engineering graduate in Electrical from Mangalore University and possesses 28 years of experience in the manufacturing, consulting and executive search and selection industry. GNU joined ABC Consultants in October 1993 in the Management Consulting Division. Currently as Director, he works on senior level mandates for a cluster of practices. He brings over 15 years of experience in executive search and selection in Auto, Engineering R&D and Engineering with leading organizations. Prior to joining ABC, GNU worked with J K Synthetics, National Productivity Council and ManpowerGroup. Udiaver is an Electrical Engineer with a PGD in Energy Management from TIPIE (NPC). He can be reached at 080-41795000. We follow a robust & detailed search methodology, which forms the backbone of our success and expertise.